The V-MODA Crossfade M-100 closed back headphones are a favorite of DJs, with fantastic sound and unbeatable style. They have won awards and rave reviews all over the internet. Their patented 50 mm dual-diaphragm drivers provide excellent separation between bass, mid-tones, and highs, for clean, vivid sound throughout the frequency range. They create deep, immersive 3D sound with minimal leakage and great isolation. They are made of military-grade materials for exceptional durability, and resistant to temperature, salt spray, and UV rays. The cables and plug can be bent over 1 million times with no damage or loss of audio quality, and are detachable for easy replacement. The unusual design isn't just a fashion statement; the hexagonal shape is more ergonomic, and the headband and cup shape are designed to comfortably contour the shape of your face and be flattering to wear. Finally, the unique CliqFold hinge system collapses these headphones down to an incredibly small size, making them fantastic for travel. They come with a rugged carrying case. 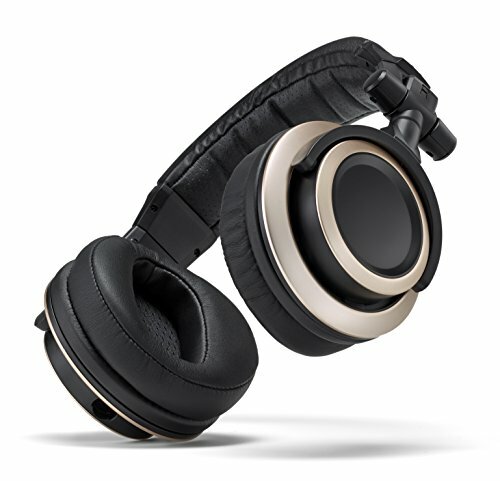 The Master & Dynamic MH40 premium over-ear headphones are made with quality and attention to detail inside and out, from the high-quality and luxurious materials, to the fantastic sound reproduction, to the exceptional aesthetics and sheer style of these headphones. Thoughtful features like the replaceable ear cups, detachable cables, convenient mute button, and included case and cable box make these an all-around crowd pleasing set of headphones. Seamless compatibility with Apple devices is an excellent feature. The sound is a bit bass-heavy, which some people prefer and some don't; it depends on your usage and audio preferences. The Shure SRH1540 premium closed back headphones have a 40 mm neodymium driver that delivers clear highs and warm bass, with an expansive soundstage. The steel driver frame improves linearity and minimizes internal resonance for clarity and consistency at every volume level. Oxygen-free copper cables with Kevlar-reinforced jackets are built for endurance and performance. Premium aircraft-grade aluminum and carbon fiber construction ensure rugged durability without adding weight. The dual frame headband is padded and lightweight for hours of comfort, while the replaceable Alcantara ear pads provide great comfort along with sound isolation. Gold-plated connectors are secure and detachable for easy storage or replacement. It comes with an additional cable, replacement ear pads, and a zippered storage case. Shure has been producing exceptional audio devices for 85 years, and the Shure SRH1540 premium closed back headphones are a great addition to that tradition. The sound is rich, immersive, and detailed, with clarity and a big sound stage that is ideal for games and movies. 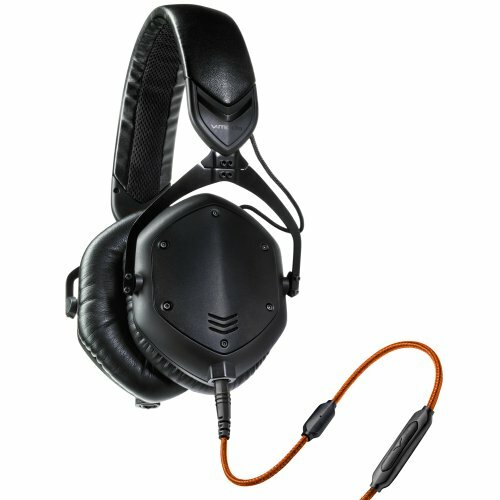 These headphones are light in weight and can be worn comfortably for long periods of time, and the included replaceable cables and ear cups mean that you can easily enjoy these headphones for years to come. The Sennheiser GSP 300 gaming headphones have a lot of thoughtful design improvements and features to make your gaming experience even more immersive without intrusive, fussy controls. These headphones have exceptional sound clarity and bass reproduction, with memory foam ear cups that improve ambient noise isolation. The noise cancelling microphone gives crystal-clear chat, and can be quickly muted by just lifting the boom arm. The padded, split headband is designed for lasting comfort, and volume controls are located on the right ear for easy adjustments as often as needed. The rugged construction is built to last, and the 3.5 mm connector gives excellent compatibility with different audio inputs. 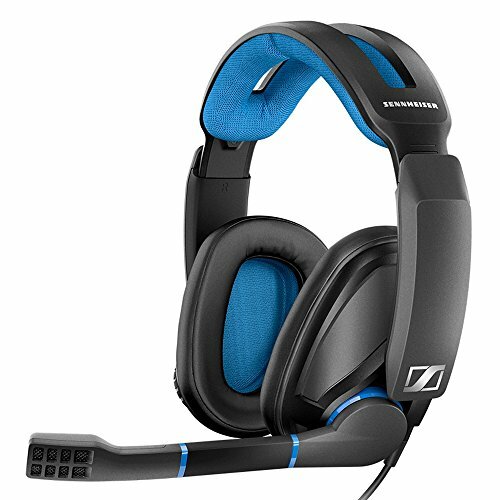 The Sennheiser GSP 300 are excellent entry-level gaming headphones, with a durable, comfortable design, and convenient features that make them work with minimal adjustments, keeping your hands free for the game. They have great style, and provide fantastic clarity and realism for your gaming experience. The Status Audio CB-1 closed back headphones are designed for critical listening, perfect for recording, mixing, mastering, editing, and other crucial audio environments. The 50 mm drivers provide great sound detail and an expansive sound stage, and the padded cups create reliable noise isolation. They have a classic, unbranded visual aesthetic, with high-style gold accents. Memory foam earpads and the padded headband have lasting comfort, and they collapse down to a small size for portability. The Status Audio CB-1 closed back headphones have exceptional reviews all over the web from professionals and casual users alike. 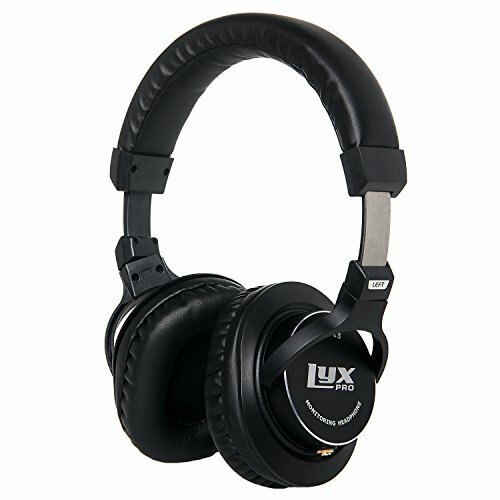 They are great for casual, mobile use when listening to music on the go, or for close monitoring in studio environments. They have a fantastic, stylish look and provide lasting comfort and easy portability. The Sony MDR1A Premium Hi-Res stereo headphones have a 4-conductor cable for better signal separation and improved sound quality. The inline remote and microphone make it easy to use hands-free in a variety of environments, and it comes with high-grade audio cables for nearly any input. Advanced smartphone compatibility allows you to use the free SmartKey app to customize your headphone settings. 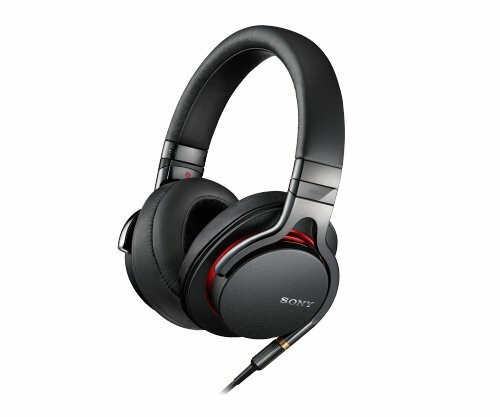 The 100 kHz Sony Sound Reproduction, 40 mm driver units with ALCP, improved Beat Response Control, and wide-frequency response range give these headphones incredible sound quality in any application. And the sleek style, enduring comfort, and optimal fit make these great headphones for a wide range of uses. The Sony MDR1A Premium Hi-Res stereo headphones are designed to deliver exceptional audio quality and clarity, with Sony sound reproduction and beat response technologies for a great frequency range. They are made with high-quality cables and connectors for improved signal quality and separation. It's easy to use them hands-free, and adjust with the free Android app. They have a sleek style and come with a carrying pouch for easy transport of the headphones and cables. These headphones are top-rated by C-Net and audio professionals alike. 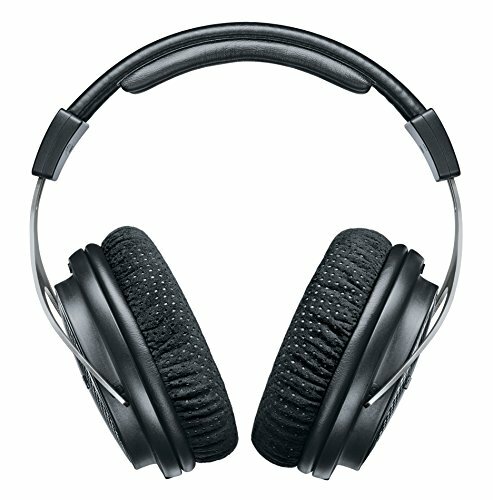 The Senal SMH-1000 closed back professional monitor headphones have many of the features that audio professionals require in headphones. They have a 40 mm driver, with 10-20 kHz frequency range and 58 ohms impedance, and less than 5% distortion. They have an enhanced low end response and extended high frequency response for improved spatial detail. The midrange is smoothed to reduce ear fatigue over long listening sessions. They have a padded headband and soft ear cushions designed to block unwanted environmental noise. They come with a coiled cable, a straight cable, and a gold-plated 1/4” adapter. They also collapse for easy transport and storage, and the ear cups are replaceable for a prolonged life at an affordable price. The Senal SMH-1000 closed back professional monitor headphones are designed to deliver exceptional audio quality in the studio and in the field, with frequency responses and ergonomic features to reduce fatigue and provide enduring performance and durability. The included twist-lock cables and high-quality adaptor improve sound quality, and the 3-year warranty ensures lasting value at a great price. The LyxPro HAS-15 studio headphones have great sound isolation, making them perfect for recording, monitoring, mixing, or casual enjoyment of music, games, and movies. The sound is rich and distortion-free, with 45 mm neodymium magnet drivers. They have excellent sensitivity and frequency response for all audio needs. The comfortable leather ear pads and adjustable, stainless-steel, leather-covered headband provide lasting comfort, and they come with 2 detachable cables and a carrying pouch. The carrying pouch and rotatable cups make these easy to take with you anywhere, for professional audio monitoring or just enjoying your audio with minimal sound leakage and great isolation. The LyxPro HAS-15 studio headphones are lightweight and come with a carrying pouch for easy transport of the headphones and included cables. The detachable cables are easy to replace, giving these headphones a longer life. 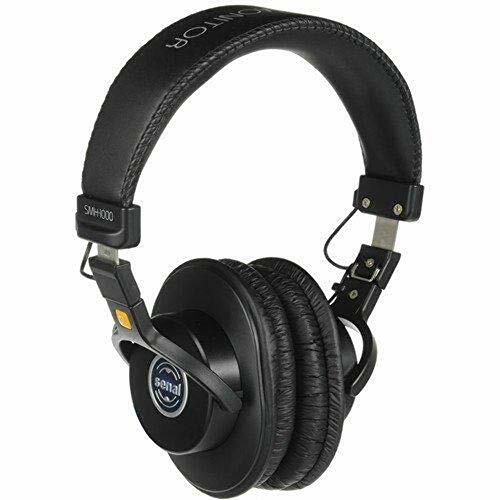 They have good dynamic response and audio quality, along with solid isolation and a comfortable, durable design. They don't have great high frequency response, so may not be ideal for all monitoring needs, but have excellent quality and portability in this price range. The award-winning Sennheiser HD 598 Cs headphones are specifically designed to deliver rich, immersive, spatial sound experiences. The aluminum voice coils deliver high efficiency, excellent dynamics, and low distortion. 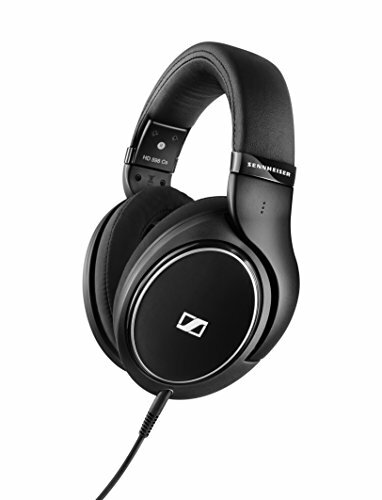 and these headphones use advanced Sennheiser technologies to enhance the sound experience. E.A.R technology channels audio signals into your ears, creating a room-like audio environment. The padded ear pads and headband pad are plush and comfortable, even over long wear. The included detachable cables include one cable with a 3.5 mm jack for mobile devices and calling, and the other cable has a 6.3 mm jack for home entertainment systems. The Sennheiser HD 598 Cs headphones have been a darling of audiophiles since they first appeared on the market. The big, immersive audio is great for any listening experience, but especially shines when listening to music, where excellent dynamics and low distortion are so essential. They are ergonomic and comfortable, and designed to last for years. These headphones all give you exactly what you need in closed back headphones: fantastic sound, lasting comfort, and great isolation from background noise. Closed back headphones are a great way to separate yourself from the world around you and lose yourself in your favorite music or movie, or to shut out distractions and concentrate on the task at hand. These closed back headphones will be your partner in workouts, study nights, gaming sessions, movie marathons, long commutes, and more, allowing you to hear audio more clearly and with fewer distractions than ever before. Enjoy your closed back headphones and open yourself to a new world of sound.